﻿ Cristiano Ronaldo: "We have to be proud for what we've done!" 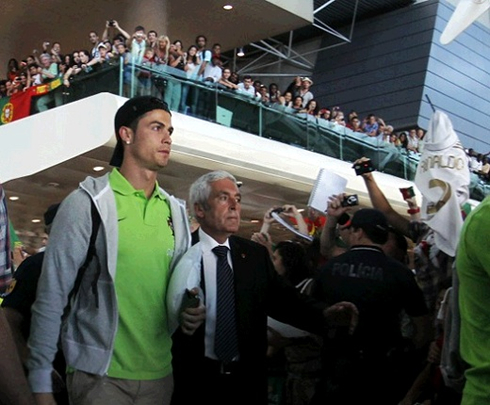 01.07.2012 » Cristiano Ronaldo: "We have to be proud for what we've done!" Losing on penalties in a late stage of a big competition like the EURO 2012, can certainly leave deep marks on any team. Cristiano Ronaldo shared his belief that there is no reason for not being proud of Portugal, especially after the team's overall performance in their campaign at this European Championship. 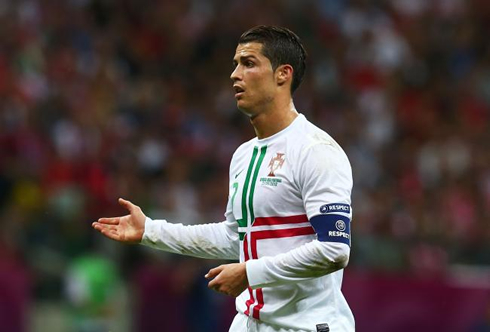 Cristiano Ronaldo has spoken a few words about the frustration the Portuguese Team felt, after being eliminated by the Spanish Team in the EURO 2012 semi-finals, earlier this week. The Real Madrid forward is still convicted that at the end, it all came down to luck and that Portugal should be proud of this team, because every player has done his best. In Ronaldo's view, the "Selecção" made enough to deserve the victory against Spain, but there's not much you can do when the penalties lottery arrive. As for the controvery about being left for last on the penalties shootout, Ronaldo said that he did spoke with the Portuguese National Team coach, Paulo Bento and that he agreed with being the 5th penalty taker that night. 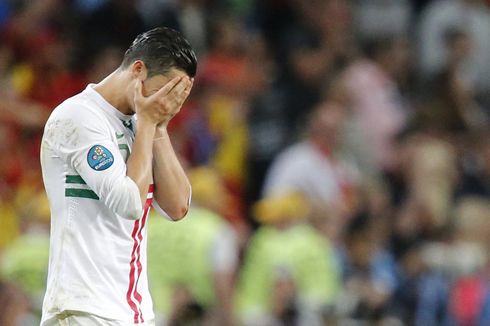 The Portuguese star gave a valuable contribution to his nation's aspirations of being crowned European Champions, but their dreams got denied in the penalties shootout's final moments. Cristiano Ronaldo: "Penalties are a lottery and whoever gets lucky, wins. We feel frustrated, because we know we've been very close to reach this Sunday's final", stated the Real Madrid forward to a Portuguese television network called SIC. Ronaldo had 5 appearances and 3 goals in this EURO 2012, assuming the role of the main figure in the Portuguese National Team. He scored half of his team's goals in the tournament (3 out of 6) and he has been tremendously decisive in beating Holland when still on the group stage and the Czech Republic in the quarter-finals. Nonetheless, we all know the media will always seek for flaws and the simple fact that Ronaldo didn't have a chance to take his penalty-kick against Spain has been on the center of the controversy over the last days. Cristiano Ronaldo: "There were two players missing penalties before me, so I ended up not having the chance to take mine. That was something I talked with our coach [Paulo Bento] before and I agreed with him when he asked me if I wanted to take the 5th penalty. Sometimes I end up taking the first, the second or the third, but that night I simply agreed to take the fifth penalty", cleared out Ronaldo. Even though this hasn't been the best campaign ever the Portuguese National Team has done in an European Championship, Ronaldo can't help to look back and say that there are enough reasons to be proud about what they've done. 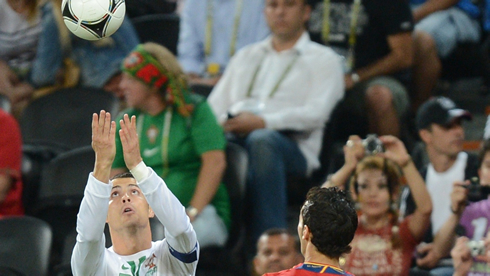 Ronaldo: "I think this has been a great tournament for us. We've done well and we ended being one of the best four European National teams. We just didn't win in those semi-finals because we lacked a bit of luck. We have to be proud for what we have done, but it's also true that we are a bit frustrated because we know we have been very close to reach the EURO 2012 final. In my opinion, it all came down to luck at the end...", said the 27-years old Real Madrid player. Cristiano Ronaldo: "I always give my best when I'm with the Portuguese National Team. I'm happy for my contribution in this tournament and for the teammates I can count with. We definitely have to be satisfied with our performances because we've done what we had to do. We played well and we've done enough to be in this Sunday's final, but we were a bit unlucky. That's the thing about penalties and there's nothing much we can do about it...", remarked CR7 when still analysing Portugal's campaign in the EURO 2012. Regarding the EURO 2012 final between Spain and Italy, Ronaldo assures he holds no grudge against "La Roja" and he goes even further by saying that he wants the Spanish National Team to be crowned European Champions. 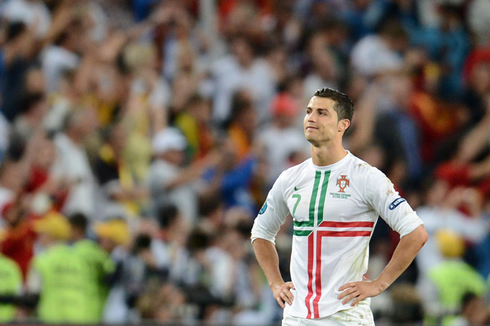 Ronaldo: "I really hope that Spain can win the EURO 2012, now that Portugal is out of the race. The main reason behind that is that I've got a lot of friends playing in that team and that's the country where I currently play at. It will be a tough final, but I wish them all the luck! ", said the Real Madrid forward. As for the fact that he had to face some his Real Madrid teammates on the pitch last Wednesday, Ronaldo said that it didn't affect his performance at all. Cristiano Ronaldo: "I've actually felt pretty normal when facing them in these semi-finals. Outside the pitch we're all very good friends, but when we're playing against each other, we're simply opponents", replied CR7, after having to play against some of his club teammates such as Arbeloa, Sergio Ramos or Iker Casillas. Before going on vacations a few days ago, Ronaldo left a short message on Twitter just to thank everyone who supported and believed in Portugal during the EURO 2012. Three words were enough to show Ronaldo's appreciation, as he now prepares to recharge batteries before another demanding season for Portugal and Real Madrid. Cristiano Ronaldo: "Thank you Portugal!" Real Madrid's season is now over and there are no games left in their schedule until the pre-seasons starts by July. 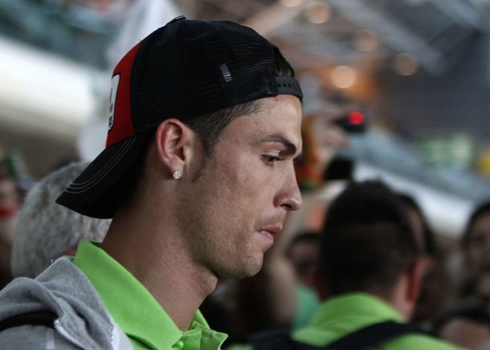 Cristiano Ronaldo has left the Portuguese Team camp in Poland and Ukraine, after being eliminated from the EURO 2012 and will now enjoy a short period of vacations. In the meanwhile, you can watch the EURO 2012 final between Spain vs Italy, from our football live streams section.